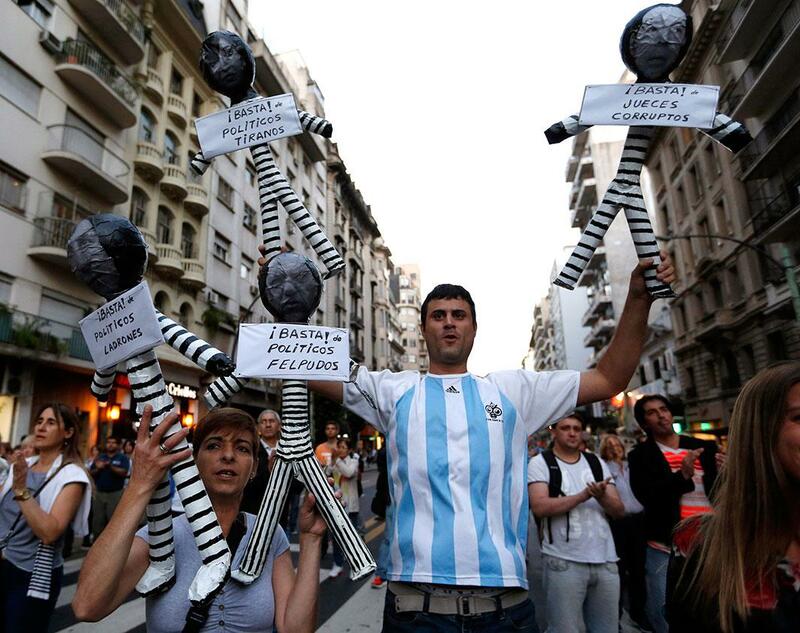 Civil unrest this week, worldwide (PHOTOS). 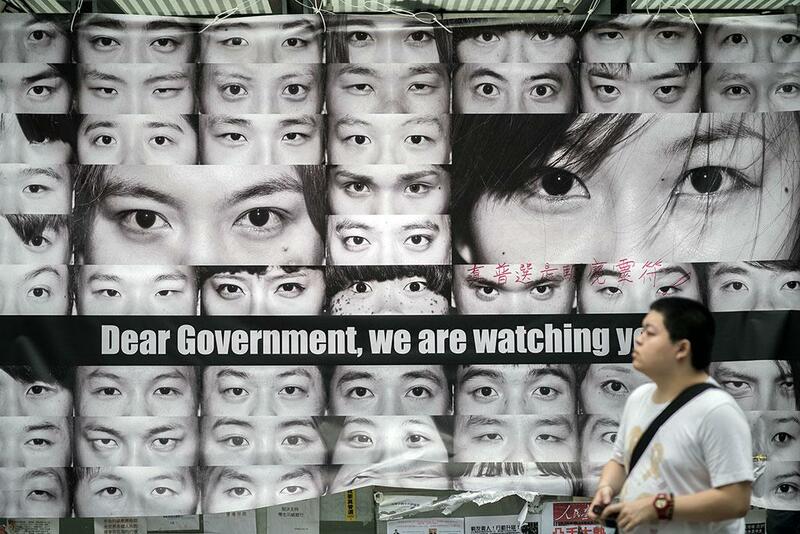 Posters showing pictures of the eyes of pro-democracy protesters are displayed in the Admiralty district of Hong Kong on Nov. 11, 2014. 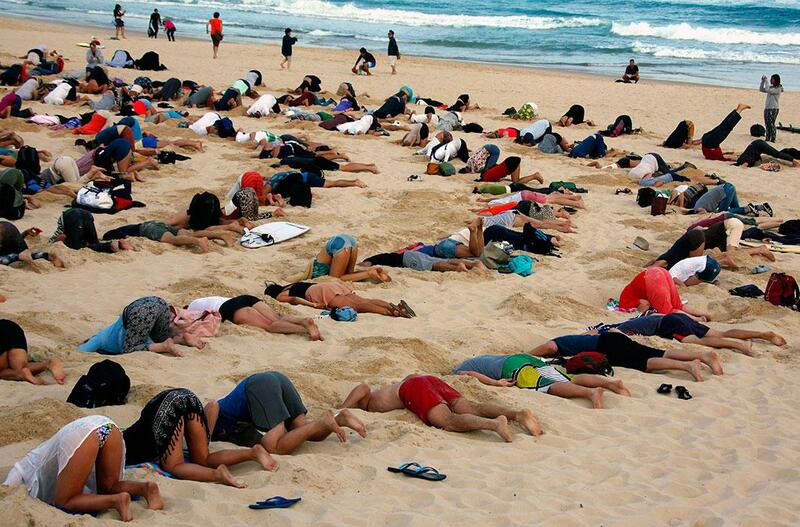 From Mexico City, to Paris, to Ferguson, Missouri, it’s been a busy week in demonstrations around the world, including one on a beach. What exactly have these throngs done to get attention? The theater of publicly expressed opinion can involve blocking a thoroughfare, bodies in costume, words in your face, and sadly, oftentimes violent clashes with the police. The photos of this week’s events range from group dynamics to intense individuals, with lots of visual drama in between. Let’s break it down by signage, costumes, and choreography, all the while taking a very abridged look at political issues worldwide. 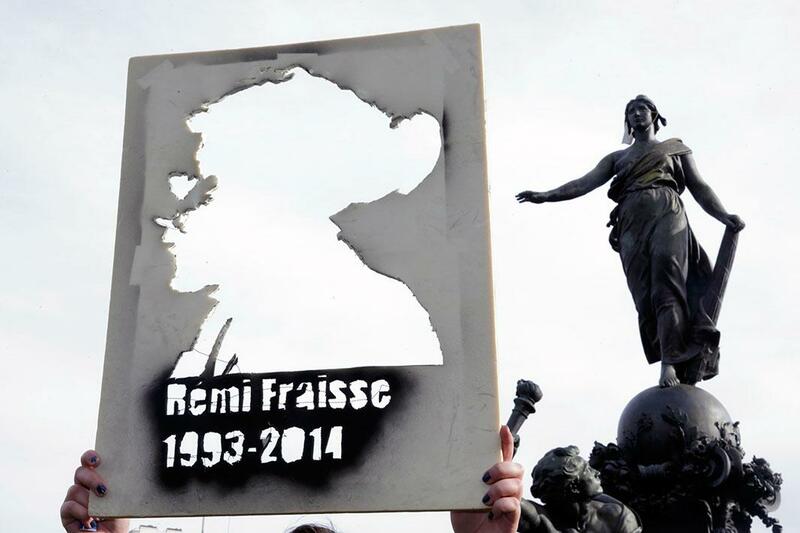 A student holds a cutout portrait of Remi Fraisse during a demonstration at the Place de la Nation in Paris on Nov. 13, 2014, against “police brutality” and in memory of the 21-year-old environmentalist who died during a violent standoff last month between police and ecology protesters seeking to prevent construction of a dam in Sivens. 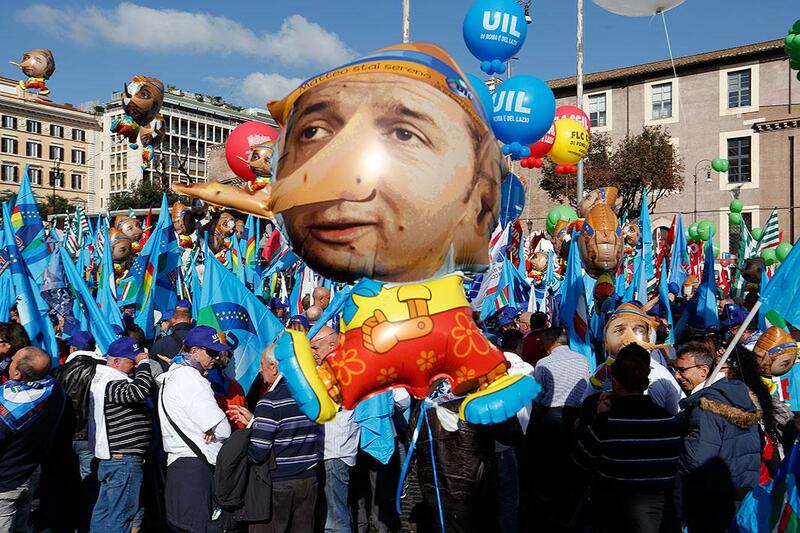 Demonstrators hold flags and balloons as tens of thousands of Italian civil service workers marched through Rome on Nov. 8, 2014, to demand that the government give them better pay and a new contract and take measures to boost employment. 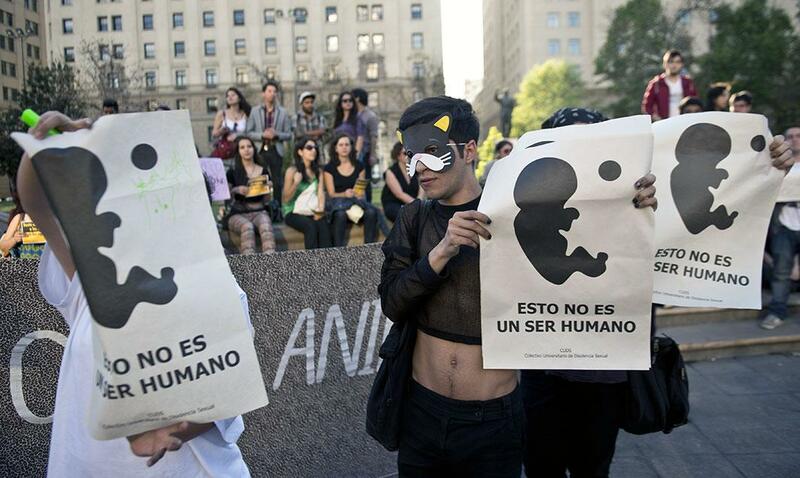 Activists hold signs reading “This is not a human being” as they take part in a pro-abortion demonstration in front of La Moneda presidential palace in Santiago, Chile, on Nov. 11, 2014. 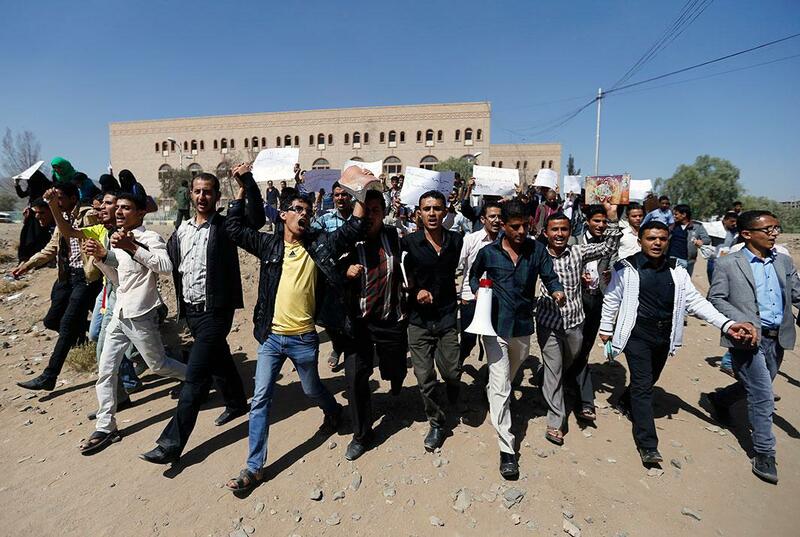 Students demonstrate against the deployment of an armed militia of the Shiite Houthi movement at Sanaa University campus in Sanaa, Yemen, on Nov. 12, 2014. The Houthis established themselves as power brokers in Yemen two months ago by capturing Sanaa with scant resistance from the administration and began advancing into central and western Yemen this month. 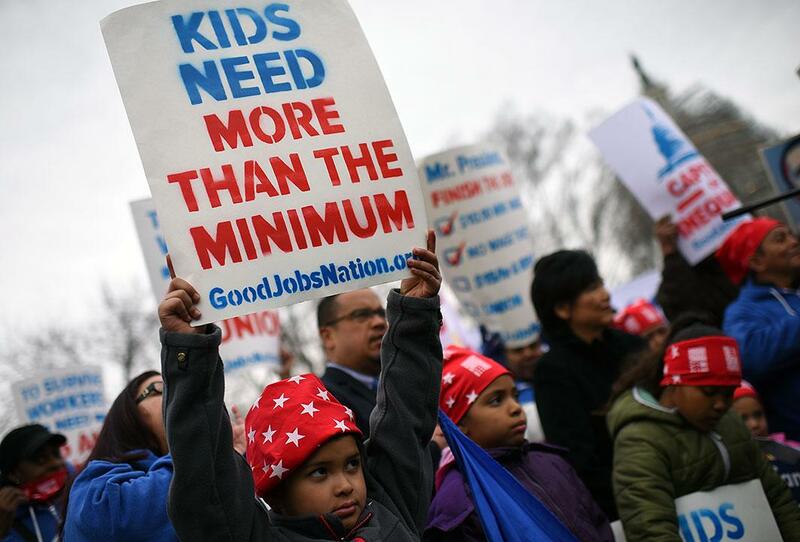 Nurses hold signs as they march outside of the Dellums Federal Building on Nov. 12, 2014, in Oakland, California. 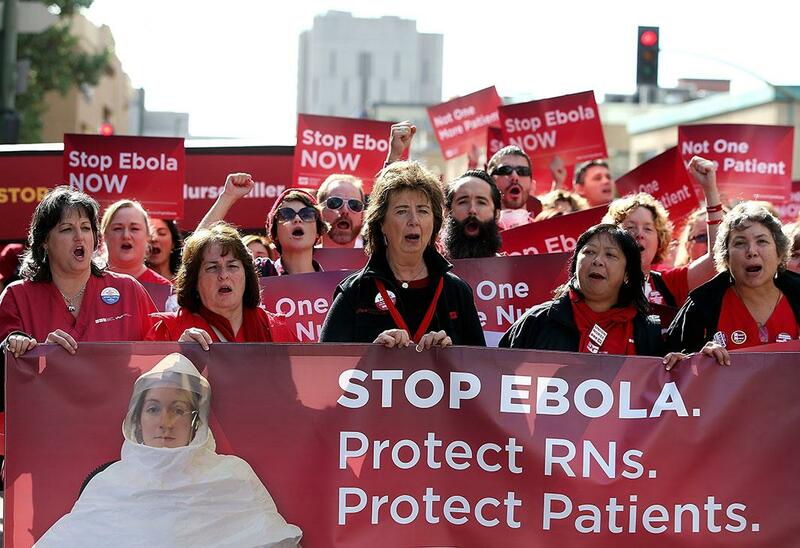 Hundreds of nurses with the California Nurses Association and National Nurses United staged a demonstration as part of a national day of action to bring attention to the lack of training and protective equipment for health care workers who could be exposed to the Ebola virus. 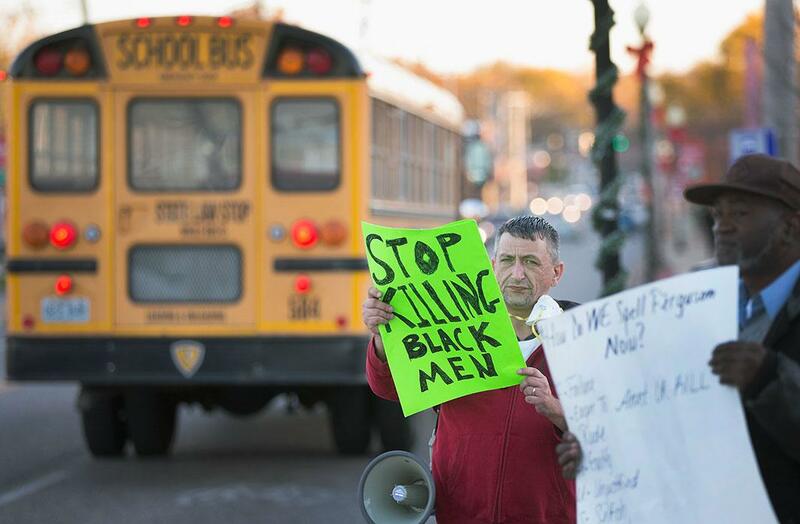 A school bus passes demonstrators protesting outside the police station on Nov. 10, 2014, in Ferguson, Missouri. As the suburb prepares for the grand jury decision in the shooting death of Michael Brown, school leaders have urged officials to announce the finding outside of school hours so that children will not be at risk of being caught up in rioting if it occurs. The grand jury’s decision is expected sometime in November. 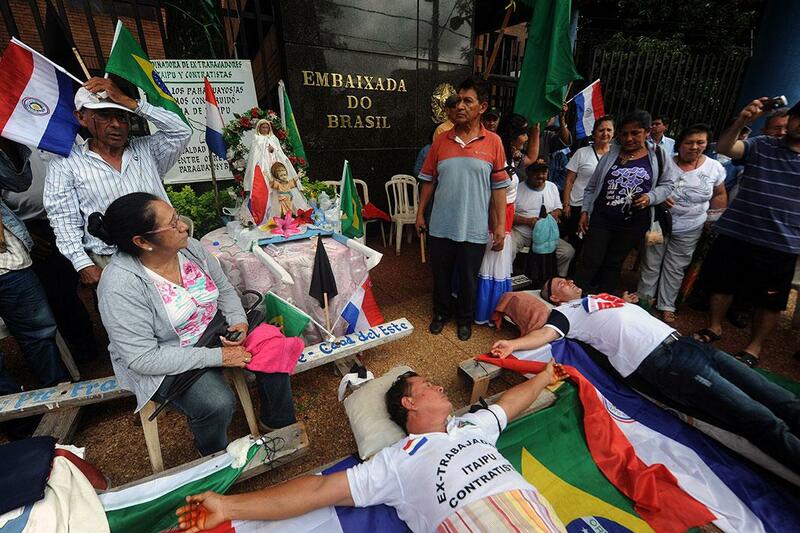 Two former employees of Unicom, contractor of the Itaipu Dam, lie on crosses after being “crucified” by fellow co-workers during a protest in front of he Brazilian embassy in Asunción, Paraguay, on Nov. 12, 2014. 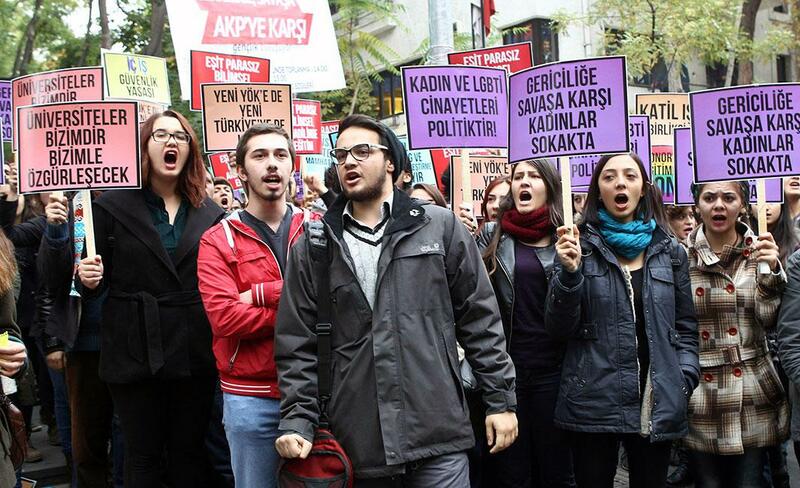 They were demanding compensation benefits after the two workers were fired from their jobs. The Itaipu hydroelectric dam, the second-biggest in the world after China’s Three Gorges facility, straddles the Brazil-Paraguay border. 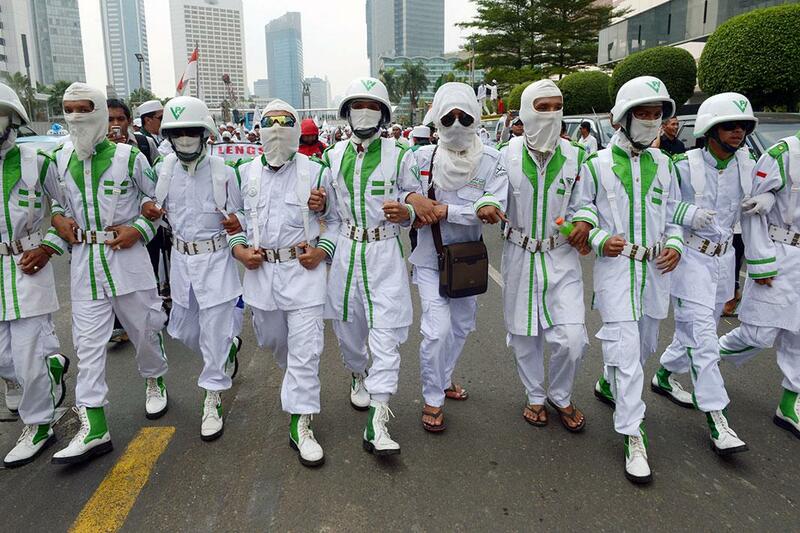 Muslim groups led by the Islamic Defenders Front march toward the Jakarta, Indonesia, parliament building during a protest against acting Jakarta governor Basuki Tjahaja Purnama on Nov. 10, 2014. Muslim groups led by the Islamic Defenders Front have demanded the governor be prevented from taking office because of his ethnicity and religion. 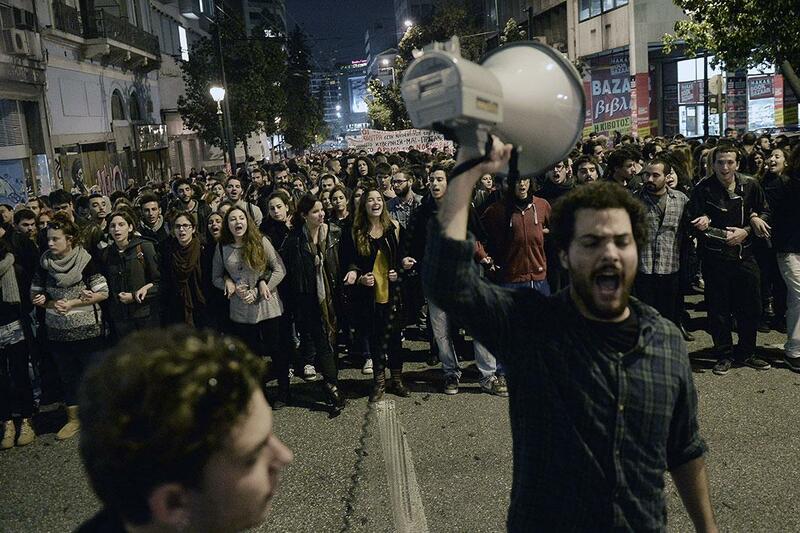 Students march in central Athens on Nov. 13, 2014, against police presence outside universities in the city, a precautionary measure ahead of the anniversary of a student uprising against the military junta on Nov. 17, 1973. Minor clashes erupted in the early morning outside a law school in Athens while students tried to enter the building, which was closed and blocked by police. More than 7,000 police will be deployed ahead of the anniversary. 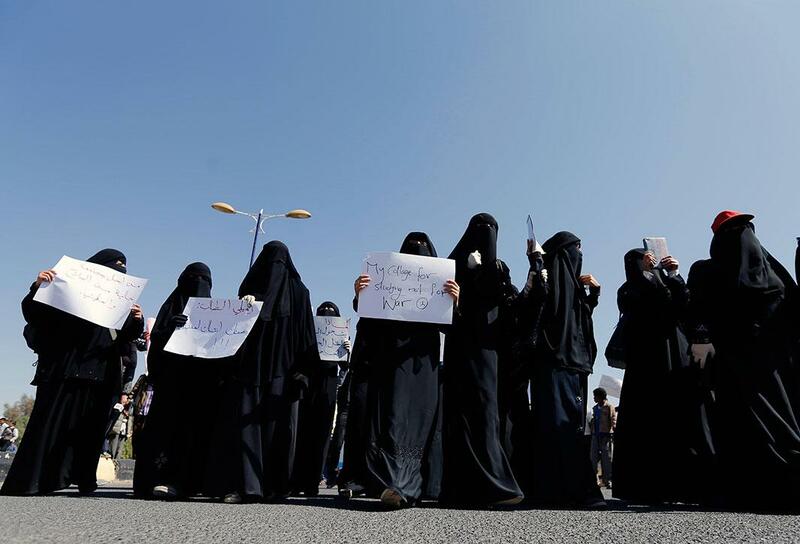 More students demonstrate against the Shiite Houthi movement’s armed militia at Sanaa University campus in Sanaa, Yemen, on Nov. 12, 2014. 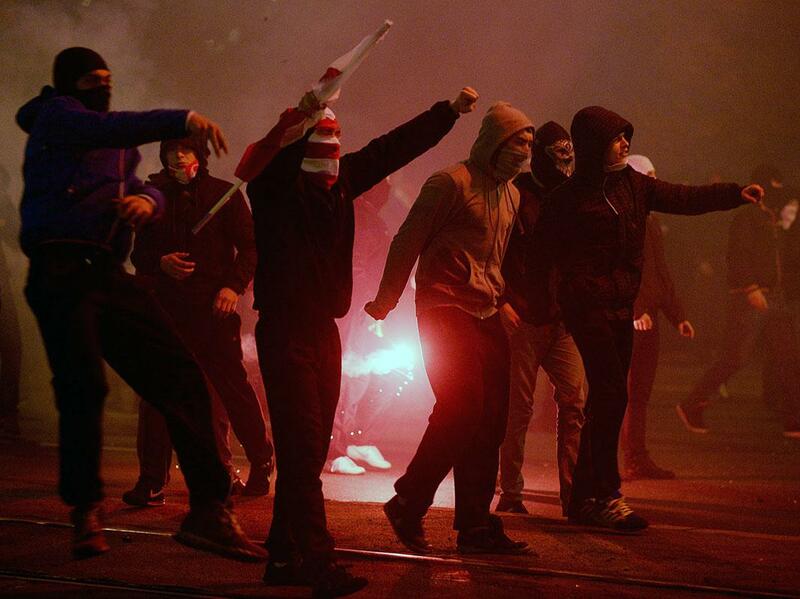 Right-wing nationalists clash with the police during a far-right annual march that coincides with Poland’s National Independence Day in Warsaw on Nov. 11, 2014. 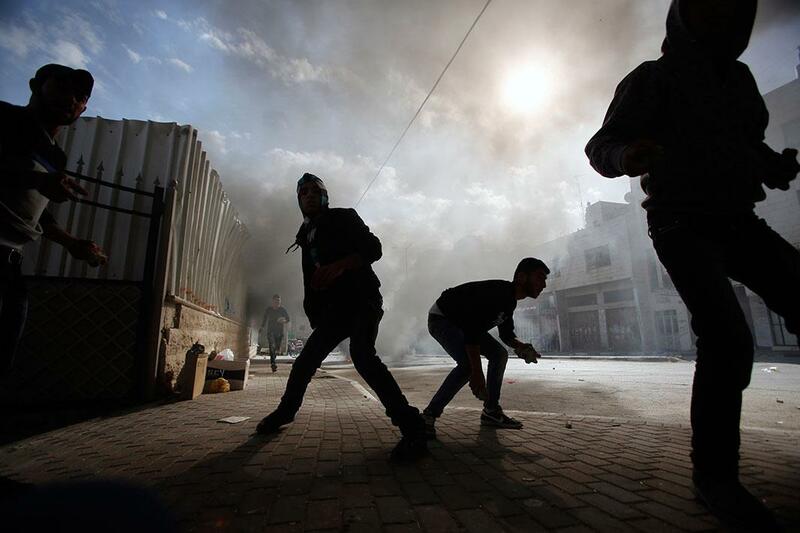 Palestinian protesters prepare to throw stones at Israeli army soldiers during clashes following an anti-Israel demonstration in solidarity with al-Aqsa mosque, in the West Bank city of Hebron on Nov. 14, 2014. Israel and the Palestinians have pledged to take concrete steps to calm tensions around Jerusalem’s holiest site, U.S. Secretary of State John Kerry said on Thursday after talks in the Jordanian capital. Violence has flared in recent weeks over the compound, revered by Muslims as Noble Sanctuary, where al-Aqsa mosque stands, and by Jews as the Temple Mount, where their biblical temples once stood. 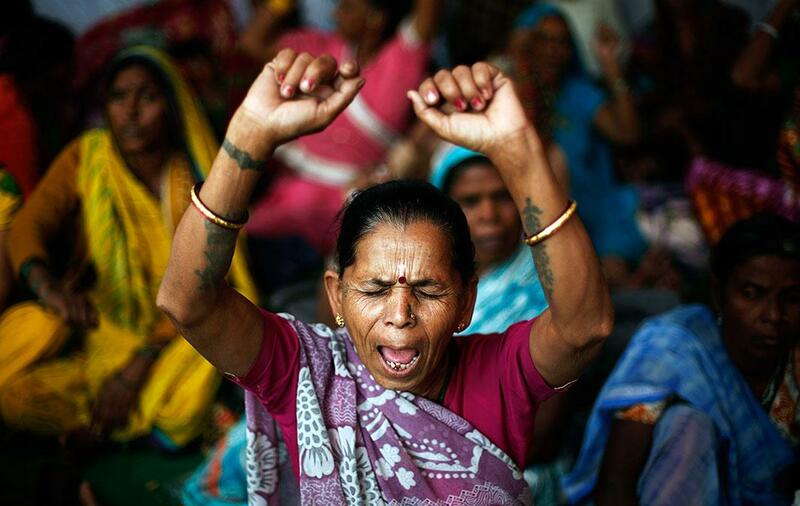 Victims of the Bhopal, India, gas tragedy, a gas leak from a Union Carbide pesticide plant that killed at least 3,500 people, shout slogans during a sit-in protest in New Delhi on Nov. 10, 2014. Hundreds of the victims held a sit-in protest and five survivors of the tragedy started an indefinite hunger strike demanding additional compensation for all the affected people and revision of figures of death caused by the disaster 30 years ago, according to a media release. 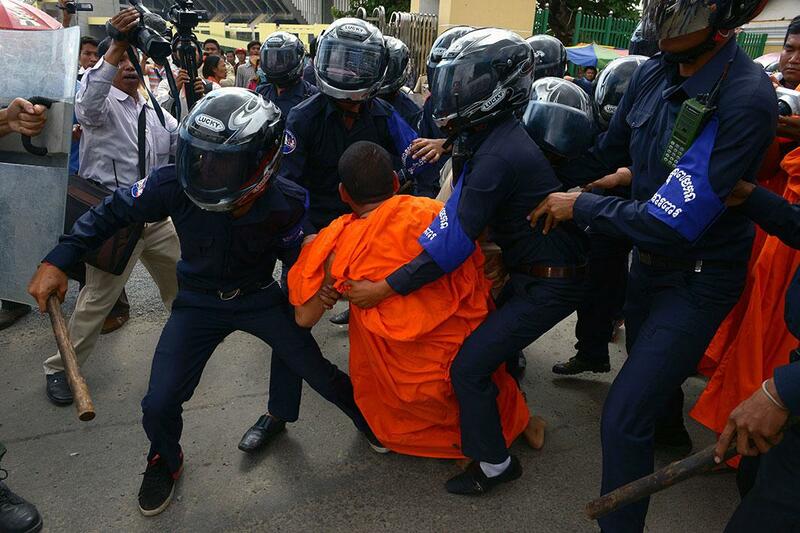 Cambodian security guards arrest an activist Buddhist monk during a protest in front of Phnom Penh municipal court on Nov. 11, 2014. Activists say land conflicts are Cambodia’s most pressing human rights issue and protests have intensified since last year. 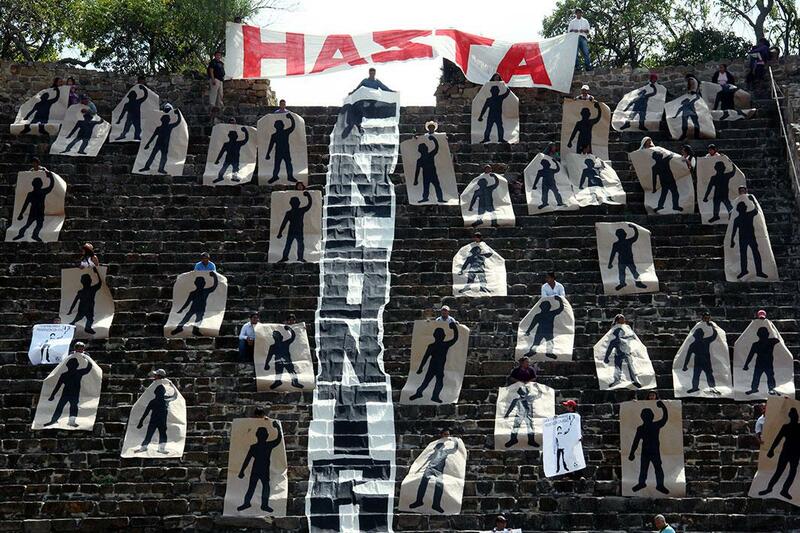 Forced evictions across the country have displaced thousands of families and prompted protests and violent clashes between residents and armed security forces. 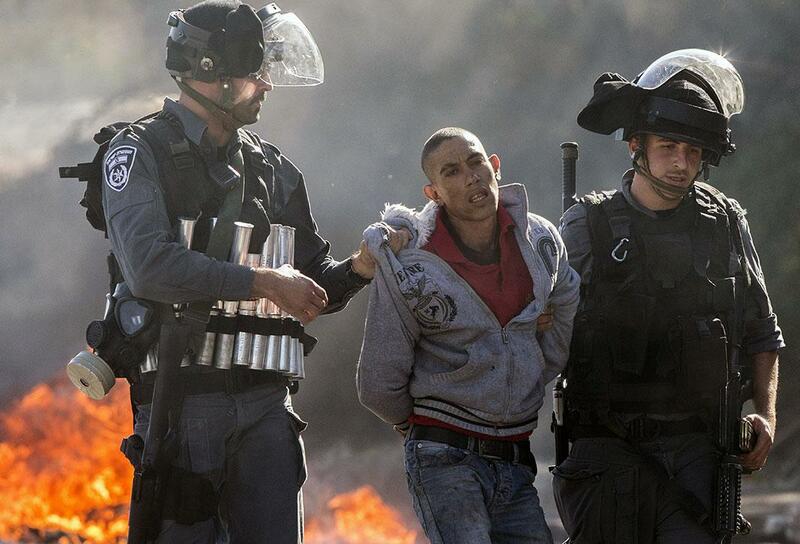 Israeli security forces detain an Arab-Israeli youth during clashes in the town of Kfar Kana, in northern Israel, on Nov. 9, 2014, a day after security forces shot dead a 22-year-old Arab-Israeli man. The dawn killing in Kfar Kana comes against a backdrop of soaring Israeli-Palestinian tensions in annexed east Jerusalem where there have been near-daily clashes in flashpoint neighborhoods. Arab-Israelis, who account for about 20 percent of Israel’s population, are the descendants of Palestinian Arabs who remained on their land when the Jewish state was established in 1948.